The research, by an international team led by Daniel Herwartz, is published in the journal Proceedings of the National Academy of Sciences and shows that even tropical regions were once covered in snow and ice. In the most recent ice age, the last glacial advance (ending about 12,000 years ago) ice sheets extended across Europe at the latitude of southernmost England and reached south of the Great Lakes in North America. Beyond lay tundra, woolly mammoths and so on – but the equatorial belt of tropical rainforest was still there. Much more drastic situations occurred far earlier in Earth’s history however, and it is these that are supported by the new study. The periods have been dubbed “Snowball Earth”. This term first rose to prominence in the 1990s on the back of decades of geological observations of rocks deposited by glaciers, on land and at sea, during much of the period lasting from about 720m to 630m years ago at locations from across the globe which – at the time – were on the equator or no more than 40 degrees from it. This was not easy for geologists to establish, because organisms that would leave large, easily recognisable fossils (so useful for relative dating) had not yet evolved. Moreover, the distribution of continents was different and has to be deduced by measuring traces of the Earth’s magnetic field captured into the rocks when they formed (paleomagnetism). 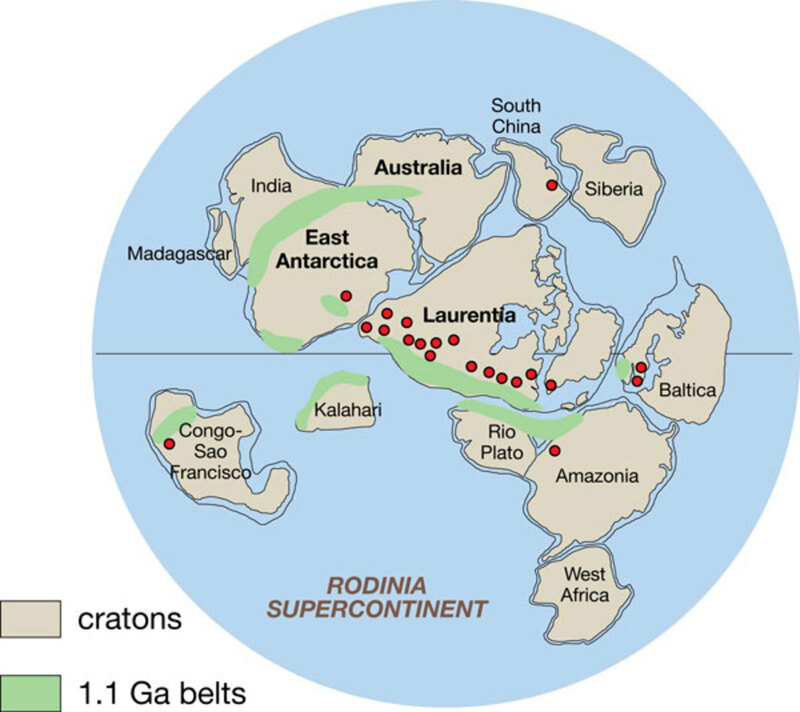 Over the period in question, a single super-continent known as Rodinia was beginning to break apart, but still straddled the equator. Why the climate should ever veer so extremely as to become caught in Snowball Earth conditions is a complex matter. On the one hand the Sun was 20-30% fainter than it is now, and thus provided less heat. However, the ancient atmosphere had much more carbon dioxide in it than now, so there would have been a more effective “greenhouse effect” to trap heat and keep the planet warm. 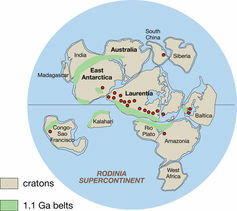 Rodinia contained most of the world’s continental crust. 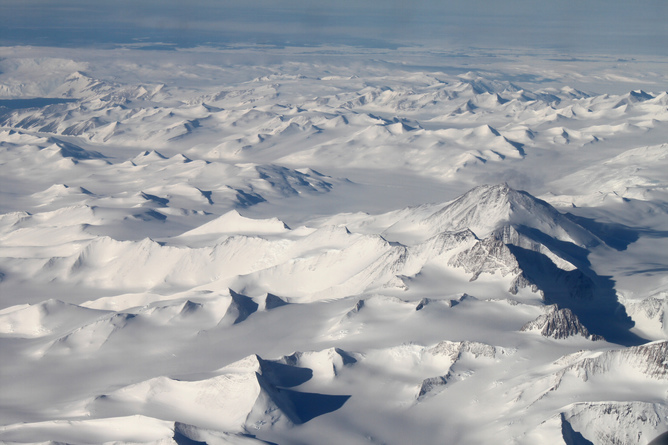 Changes in the Earth’s orbit, or in the tilt of its axis, might have tipped the balance – these are the likely cause of more recent glaciations – but it is possible that full Snowball Earth conditions can be initiated only when a super-continent lies across the equator. As land reflects more solar heat than the oceans, equatorial Rodinia maximised the amount of heat bounced back into space rather than absorbed into the seas and kept on Earth. Snowball Earth conditions gripped Rodinia at least twice, in an older episode known as the Surtian and in a younger episode known as the Marinoan. Herwartz and his team studied rock samples from the Dabie-Sulu belt in modern day eastern China. Back in Surtian and Marinoan times this region was between 15 and 35 degrees north, the same sort of latitude as present-day Mexico, India or the Sahara. The team also studied rocks from a much older proposed Snowball Earth episode, about 2.2 billion years ago, sampled in Karelia, in present-day northwest Russia close to the border with Finland. These too were at a low latitude at the time in question. The researchers’ key innovation was to analyse oxygen left behind by ancient glacial water as it reacted with rocks to form new minerals. They used this to work out the prevailing surface temperatures. Oxygen comes in three stable forms, or “isotopes”. Nearly 99.8% of oxygen atoms are oxygen-16 (made of 8 protons and 8 neutrons). Most of the remainder is oxygen-18 (8 protons and 10 neutrons), but there are also traces of oxygen-17 (8 protons and 9 neutrons). A water molecule containing a heavier isotope of oxygen has the same chemical properties as a water molecule containing the lighter oxygen-16 but will evaporate less readily and condense more quickly. This means that the oceans lose water molecules containing oxygen-16 at a faster rate, and rain (or snow) falling far from the ocean will be poorer than average in the heaver isotopes. The ratios of the different oxygen isotopes in the recent geological past can be used as a proxy for global temperature, or to estimate how much water from the oceans has been removed and stored in glaciers. Today you’ll have to go to Antarctica or Greenland to find a climate that chilly. It is far from simple to get at the information locked in ancient rocks of the kind studied by Herwartz’s team, but by including the extremely rare oxygen-17 isotope in their study, they were able to show that both of the heavier isotopes must have been rarer than expected in the glacial water that had reacted with the rock. 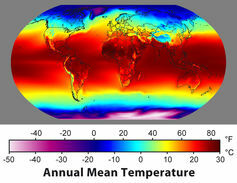 The difference in the depletion of oxygen-17 compared to the depletion in oxygen-18 enabled them to demonstrate likely mean annual surface temperatures of as much as 40°C below zero. 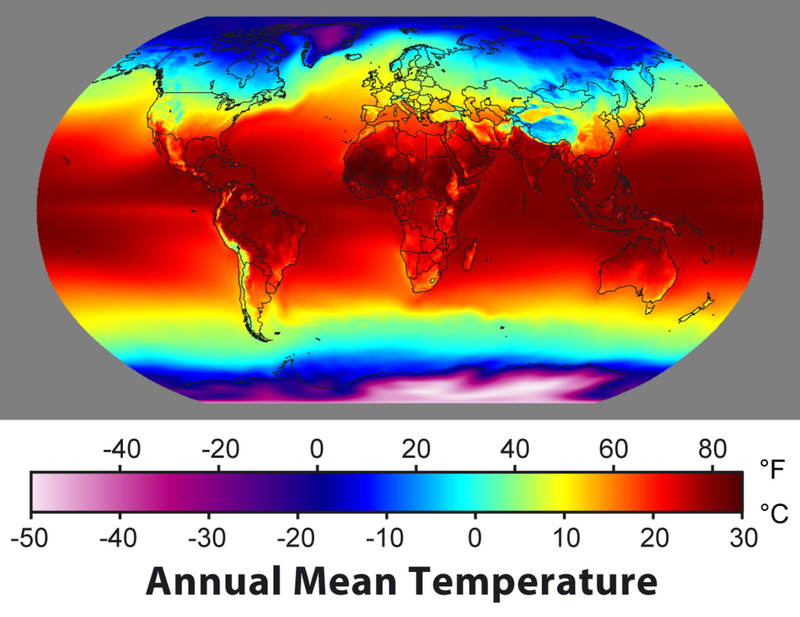 Such low temperatures imply that the oceans would have been deeply frozen too, supporting the full Snowball Earth model. But if the land where the rocks originated was so cold because it was several kilometres above sea level, the possibility that the planet was more of a Slushball Earth, with open seawater near the equator, cannot entirely be ruled out.